A cabin, a cup of coffee and a typewriter; a picture I’ve carried around in the back roads of my mind for several years. From a rebel in the ’50’s to a college graduate in the ’90’s, I have evolved. Many roads have I traveled and many travelers have I met along the way; all with stories to be told. With faith in God and “dust on my shoes,” I travel the writer’s path. I was born in Pontiac, Illinois and attended Pontiac Township High School in the ’50’s during the beginnings of Rock n Roll. My paths in life have taken me from a teenager in the fifties to the U.S. Navy in the sixties; from a blue collar worker to a nursing degree; from Illinois-Arkansas-Florida-Tennessee and back to my hometown in Illinois. Before retiring from nursing, I was working as an RN, focusing on the care of hospice patients and their families. My writings are about faith, hope, love and the human condition. I write in various genres and am presently working on two books. It is my hope that the thoughts and images expressed in my writings will find a way to speak to your heart. Thanks for following my blog Butch. So GLAD to find you, and someone closer to my vintage, and maybe not afraid of the rust spots either! RT’d one of your posts already. Thanks! New follower. I like your view on the future ! Your dreams will always be alive! Discovering u is the best thing that has happened to me. Cheers. Thank you very much for stopping by http://favouritebook.wordpress.com!!! I really enjoy your blog and reading the thoughts you have! Your blog is very uplifting and inspiring. Thanks for writing! Hi Butch, I want to echo Anna’s sentiment and many others in these 212 comments. Thank you for uplifting, encouraging, and caring about us. And for keeping Jesus at the center of it all. I’m envious of your cabin! What a beautiful blog. Thanks for following mine, which led me here! God bless your labor of love with an abundant harvest! Praising Jesus, our glorious Creator! You succeeded. Reading your “about the author” hit me straight in the heart. So glad to have found this…now following. Thanks for stopping by my blog and for the ‘like’. Your page is great! Thank you for stopping by Kerri Chronicles and checking out the Coffee & Christ show, Butch. I hope you enjoyed our topic. I love what you have here and look forward to getting to know you. Hi Butch! Thank you for dropping by Candle & Quill! You might like a couple other blogs I write (listed on my “About” pages). As I writer I had to smile as I read your bio: It seems that eclectic paths lend themselves to our craft in the best way. relatively new blogger here, but kind of a ‘smith’ as well. Good choice of titles, and good stuff to back it up. All the best in your next endeavors. Hey there! Just to let you know I’ve nominated you for the Very Inspiring Blogger Award. I hope you will accept. I enjoyed reading your bio. What a wonderful story. I pray and cry with my best girlfriend as her dad is being cared for by hospice. Thank you for sharing. What a wonderful blog and story that you are telling here! Thank you oh so much for stopping by my blog and like one of my posts. Blessings! I just want to thank you for taking a look around my blog and for liking some of my posts and deciding to follow. I hope that my writings, my story, will bear witness to the great God that we serve. I just nominated you for the Food for Thought Award. I’m posting about it this morning! Thanks for your “like” on my blog post about Judgment Day. Looks like you have a good blog here. Good morning my brother….I have nominated you for the Ten Commandments Award. Please stop by http://armouredup.wordpress.com if you’d like to accept this award. Many blessings!! I’ve been writing as long as I can remember, but you’ve done more to affect the style of my writing than anyone. A few words can be powerful depending on how you “smith” them together. Please keep ministering through this open door, and as the Saviour opens other doors for other forms of ministry, don’t hesitate to walk through them. You are a called and gifted man for His service. The past is the past, and today is forever. Hello friend, I gave you and your blog an award today .. I hope you’ll accept it but I understand if you don’t “do” awards. Regardless, I’ll be back to read and be inspired, over and over again. Cheers! About the Writer Wordsmith's Desk Very nice post. I just stumbled upon your weblog and wished to say that I have truly enjoyed browsing your blog posts. After all I’ll be subscribing to your feed and I hope you write again very soon! I’ve only been blogging for a couple of months, and I’ve enjoyed reading your blogs. Therefore, I’ve nominated you for the Sunshine Award. As a novice, this is something new to me. I’m honored to be nominated myself, but have found that it’s taking up a lot of time to be nominated. So, if you’d like to follow the drill after your nomination, please do, if not, I understand. You are still one of the few I subscribe to and enjoy. If you decide to pass it on, click on the link for the award and use my acceptance page as a template. Congratulations! Thanks for dropping by my blog today… nice to ‘meet’ you, and I look forward to how our paths will cross, God willing. Great bio, LeRoy. My mom was an RN, and now my daughter is. I admire people who have chosen the health care field. Thanks for stopping by my blog. I usually check back out of courtesy. However, when I came to your blog something about it touched me. Its beautifully written but not in a way that seems created. Its honest and real. It feels like the words were poured from your soul. I felt transported to a time more innocent and pure. It was beautiful. Thanks for stopping by and checking out my site! I’m not always comfortable writing about my faith so it was nice to see that someone else enjoyed what I had to say. Come back anytime! Thanks for visiting my site. Write on, brother, you inspire me! Beautiful writing! Congrats on mixing your talents with such varied life experiences. I love that cabin. As a writer, I’d love to “retreat” there. My father served in the US Navy during the 1960’s. Thank you very much for your service. All the best. Imagine all the people we would miss meeting had we not stopped to smell the roses. Enjoying the discovery along the road of life. I’ve read your posts for a while, but never read the “about” post before…yes, it Is good to evolve! Interesting to look back over the journey, and satisfying to know that if I don’t have life all sorted out, I know more than I did! Ditto. You sure are a busy man. May God bless you and the work of your hands today and for the rest of your life. I’m glad you discovered my blog today (Do not be caught unaware) so I could discover you! Many blessings to you as you seek to encourage and inspire others through your writing. In that way, we are kindred spirits. Thanks for the comment on my recent blog. It’s always a blessing to know that there are people out there reading this stuff. Thank you for reading my blog post today. All the best to you, sir! Hi Leroy, thanks for liking my post Getting Your Gulls in a Row: 4 Steps to Eternal Life. I have enjoyed visiting your site. I’m wondering how you manage to have the drop-down menu and multiple posts on your pages? Thanks for liking my post. I really enjoyed reading through some of your posts this morning…such an encouragement…and such a window you’ve opened into your life. Thanks for your writing. I thank the Lord Jesus Christ that I have found a wonderful site in which His presence richly dwells. There is a unique manifestation of His presence in a vessel of clay that spends time with Him….heart to heart….face to face. You my dear friend are a fellow lily…a lily among thorns. Although I don’t know you in the flesh, you are known in spirit, by His Holy Spirit. I will be praying for you as the Lord guides your heart and mind to write, that you may bring Glory and Honor in all you do. I alway pray to the lord to give me the words that might mean something to someone and bring a positive energy. Into their lives! In reading some of your pieces I saw a wonderful imagry and honesty, the 2 most important ingrediance in creatinf any art form. At the age of 51 I am pursueing my bliss and as a writer and who knows what next! although we must pay the bills. Thank you so very much for taking time to read & comment on a recent writing of mine. I am learning as I go.. So very nice of you. I have certainly enjoyed reviwing your blog. Thanks for the follow. 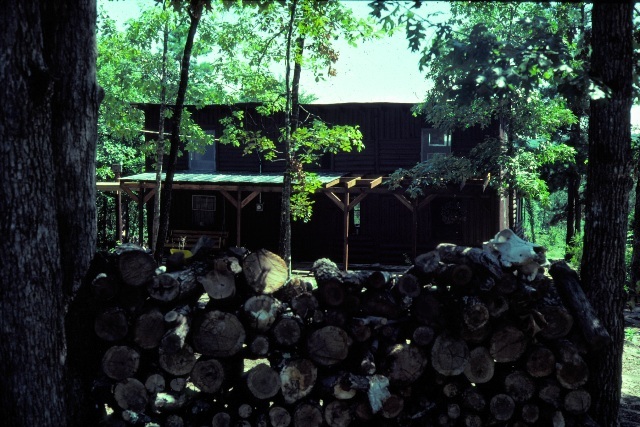 And, oh, how a cabin and coffee (and maybe a typrewriter but I make way too many spelling errors!) sounds SO good right now! Thanks for taking time to find my blog and making me not feel so lost in the blogisphere…Love your space here. I shall return again. Hi Leroy. Thank you for taking the time to stop by my blog and “like” the post on The Joy Of Power Steering. I was born and raised in the Midwest too(Chicago) but have been a Californian since 1989. I also enjoyed reading your post on being God’s ghost writer. Although my time is limited when it comes to blogging, when I am able to do it, that is also the goal for which I strive. Hi! Thanks so much for “liking” my “Comfort Zone” poem and for visiting my blog! I look forward to reading more of your inspirational work! Thanks for visiting my blog. God bless you with the books you’re working on. Keep up the faith! You are so encouraging to people, Leroy. Seems everyday you reach a soul. God must have led me here …. I look forward to reading your works, your words will heal many and I pray me as well. I was delighted that you visited and responded to “Praying God’s Name”. We are truly rich to know the many (over 500 and still counting) names that God gives Himself that we might better know Him. Rich because the Bible tells us that He values nothing above His word and His name. One of His names is Creator. How gracious He is to give us the ability to take words and thoughts and weave them into truths that glorify a magnificent God. Blessings. If that cabin is your home, I am horribly jealous! As a lover of tall trees, clouds, and all things wet and green, I can only say what a pleasure your surroundings must be! Thank you for liking my blog post! It’s always nice to fun into a fellow believer in the blog world. I’m enjoying your blog! Thanks for liking my post. It’s always great to meet new fellow believers. God Bless you! My name is Julianna and God has blessed me to be the pen in His hand. I am writing a book and would like permission to use “My Cross is too heavy too bear” for one of the personal reflection sections in the book, if that is okay with you. I would put you as the author of that amazing God given revelation! Thank you for liking my post. My posts were more like thinking out loud. No time to check words and grammars, I just want every thought out during wee hours in the morning. Having you like my post is an honor. Thanks again. Having you like my post, Hmmm… Responding to Tragedy, is encouraging to this baby blogger. Thank you! LeRoy, I so like this opening page. It always gives me a sense of wholeness. Just had to tell you that I’d spent a little time being a blacksmith, too (as well as a wordsmith). One of my proudest accomplishments was a hot weld. Best, J. Thanks for having liked my post “The Battle: Dying to Yourself”! I’m honored. What are your thoughts on the concept of dying to oneself and allowing Christ to dwell and live within? Thanks for your visit and your comments. You asked my thoughts on dying to oneself and allowing Christ to dwell and live within. When one is born again, the Holy Spirit takes up residence within us. This is the new birth. Now a great battle begins between the new nature and the old sin nature. Jesus is now our Savior, but giving Jesus Lordship of our life is another matter. Paul talks about knowing what to do, but doing the opposite, thus the battle of the new and old nature. The Christian life can only be lived through Christ. Dying to oneself and allowing Christ to be Lord of our life is imperative, but far from easy. What have you found to be the most difficult aspect of dying to yourself? Having been a Christian for 40 years and yet admittedly was in a “God Mad” for 10 years, and then a “do my own thing” Christian for 14years-I am ashamed to say-at least God finally got ahold of me and shook me to my very marrow starting when I was 50 and for the last 10 years, I have spent in the blacksmith’s shop being refined. I think I am still there. At least this close to the Light, you can see clearly your cobwebs, dirt, and filthy rags. I thought so many times, I had gotten rid of them, but like magic, here they come again. I think that is what is called my flesh. I asked the Lord this spring, why? why for so many things? and do you know, He answered me! I know He doesn’t often tell us why anything–but for me, His bottom line was for me to be cleaned up and ready for Him-to share His story for His glory and somehow, He made me a part of His story. LeRoy, I really meant to just come and thank you for liking my post about doing God’s work while I am in the hospital every time. If you have the time, you should read the one in May when I recount God being in the ER with me in the corner! Thank you, LeRoy for liking my post – review of “Escaping Innocence” by Joe Perrone Jr. I am honoured and touched. Your posts are truly inspirational. You have a beautiful gift. I will be back to visit again! Thank you kindly for liking my post “An Open Letter to God” on SIDSSM [http://sidssm.wordpress.com]…you’re a kind man and from the looks of it, a fine writer. Keep up with the scribbling and the passion, email anytime: SinceIDoSaySoMyself@gmail.com. Thank you so much for visiting my blog. I pray blessings over your blog as I know it ministers to so many people for His Kingdom sake! LeRoy your writing faithfully exposes the truth. Great job! Thank you for visiting my blog and for your positive response – It is always nice to know that someone likes what I write! And it has been a pleasure to discover your writing. Look forward to reading more from you. Thank you for visiting my poetry project, your reflections are very deep. I will keep reading. Check back for daily poetry! LeRoy … Thanks for visiting my blog. You are so right. It’s NEVER too late! Thanks for visiting. Humor here clean, wholesome. Several people of faith follow here. In Christ, Carl D’Agostino, Presbyterian. PS I am in Miami. Mr. Dean, Could you help share the word about a short story I have written on Yahoo Contributor? It is a story that I believe will provide great encouragement to people, especially those going through dark times and those who wonder what can be better than earth that we have not. The link to my blog post which links to the story is http://wp.me/p1mXHZ-s6. If you would do me the honor of reading the story, and then if it is worthwhile helping to get the word out about it, I would appreciate it. Thank you. Thanks for visiting my blog today, I’ve enjoyed reading through your posts, and yes you brought a tear or two to my eyes tonight. Your writing is truly gifted! Thank you for being you, Leroy. Your words are soul food – right now we need that more than ever. I’m glad you connected with “Thanking the Unthankable” at RadicalBliss, LeRoy. And I love and admire your commitment to continually expand yourself and your life! I look forward to hearing from you again. Thanks for checking out my blog, Living Sublime Wellness, and liking a post! I look forward to you sharing comments on my blog as you like. I love feedback and appreciate the support. Thanks again! Thanks for stopping by my blog… Look forward to reading yours! Thank you for visiting my blog, fellow pilgrim. Keep writing to the glory of God! Nice meeting you, man of God! When you liked my post, “Where He Could Be Alone”, I had to check out you out too! You’ve been a busy little bee, producing lots of honey. I am glad I stumbled over you. Thanks for the “like”. Keep up the excellent work. Thanks for visiting my blog and liking my nostalgia lesson post. I’m glad I decided to visit here and see who you are and what you write. I’ll be back! Thanks for liking my post as well. You are very kind..and talented! I enjoy your writing. Thank you for visiting my blog and for liking my post “What We Give to God”, I am glad to come and visit yours…and I really like what I am reading here. After years of half-hearted attempts at writing a story, I have finally gotten serious and have a novel going through a review process at a publishers right now. That is in God’s hands, and I am awaiting His will on where it takes me. You are a great encouragment and I have added you onto my list to follow. Thank you again. Thanks for liking my post “Love?” Your writing is very interesting and I look forward to reading some of your work. Thanks for the ‘Like” on my Journeys post. Keep blogging, fellow-blogger! Thanks for liking my post “Capture a Moment.” Nice to visit your blog and see your writing as well. Thank you for stopping by my blog. I am going to enjoy looking over yours as well. Hi LeRoy- interesting blog – I came here after you “liked” my post about lying. I love that you were a nurse. Good to hear from you again LeRoy. I got your “Like” on my most recent blog post today. Always enjoy reading your prose posted here. Have you “shaken the dust off your feet yet?” Happy trails! Thank you for visiting my blog, Mr. Dean. Blessings from a fellow Wordsmith. You’re a busy man LeRoy! 🙂 You also have a way with words. Keep the gift flowing. Thanks for visiting my blog. I’m just starting out and am enjoying blogging, having a place to “share” my journey of life. I am always encouraged to read others (like yours) as it comforts me to know that I am not alone, that others are on a similar journey. I always enjoy stopping by to read your thoughts and poems. Thank you for liking my post about being thankful. I am new to blogging and it is a true honor. thank you so much for “liking’ my few-liner…. this reads so good here / do keep in touch.. just learningabout blogs &life in all its dimensions. Great reading this ! wow tx for liking my few-liners ! This page so good so good…. ! Thanks so much for “liking” my post- Your blog is wonderful and am I am glad to have found it! That cabin is incredible! I like your “motto” too. You are 100% correct; it is NEVER too late to do what you want to do, and IMHO it’s never too late to chnage. An old dog can be taught new tricks; it’s all in the method used! Hi Leroy! Thank you so much for liking my post. I’m looking forward to reading yours! Hey, thank you for reading my short story. I just got my blog set up today, so it’s really encouraging to have already had someone read my work. And I really enjoyed “Visitor from the Sea” and “Morning.” Very good pieces. Thanks LeRoy for the like 🙂 I just had to come over and look around 🙂 I like what I see … will subscribe and come around often! LeRoy, I added your blog to my blogroll. If you like my blog, I’d be honored if you added it to yours. Thanks! Thank you for visiting my blog. You have opened my eyes to a world of believers I used to wish about, to find that they exist. I look forward to reading your future writing. Thanks for reading and linking my blog. Thanks for the like. I appreciate you stopping by and plan on reading more of your post. Thanks LeRoy for the like — I see that you’re very encouraging to others and you inspire me to be a better person because of it. God bless you now and always. you are completely correct..it is never to late..no matter the age to do what you love. Thanks so much for dropping by and “liking” my blog post. I am glad yo enjoyed it! Loving your work! So glad I found your blog and thanks for visiting mine. Grace to you! Hi! I just wanted to say thank you for reading my blog. It really means a lot to me to know that there are people who really do read it. Thank you for taking the time to read my blog (God’s blog, actually :)) and liking it. Your writing reminds me very much of my grandfather, who was a published poet from Brooklyn. I look forward to reading much more of your work. God bless you. I just wanted to thank you for giving my blog a read and being kind enough to click the “like” button. Such bits of encouragement make me want to keep writing. God bless. I’m going to subscribe to you with my google reader. I don’t know why it took me so long. Your posts are refreshing. Thank you for taking time to read and “like” my post last week. Just got in from being on the road and do want to let you know how much I appreciate your visit. It’s so nice to be back home in my chair that swivels and rocks and get back to my routine and blogging world. I read several of your posts and look forward to reading more. Beautiful cabin and description! Will be checking out your posts. God bless. LeRoy – thanks for visiting my blog so frequently and letting me know that you like it. How very gracious of you – I appreciate the encouragement. I like many of your entries. Since I get them in my E-mail, I am not able to like them unless I log into WordPress, which is hard to do on a Blackberry. Please be assured that I like your work – you have a lot of thoughtful insights. Thanks for sharing your work and passion. Sending light to you, so you can keep your well filled and sharing it with others! Forgot to ask. What template theme are you using? Hmm. Your middle name might be Barnabas from all the encouragement you’ve given other bloggers! And yes, thank you for giving me a “like”. Your home page has given me some ideas for my own. Blessings. Hi LeRoy Dean- thanks for liking my site today! Isn’t Marguerite’s art the best. Love her poetry as well. Your site is awesome. Will make it a part of my fav sites to visit! Hi Leroy Dean! Like the name & love the site! Thanks for liking my post today, but the credit goes to the artist of today Marguerite Beck-Rex! Hope you stopped in to say hi to this 80 year old creative & talented lady! Thanks for gifting me by visiting my blogsite. I appreciate the opportunity to check out your blog and to learn a little about you. I look forward to reading more of your blog. “Click”…I’m subscribed. I’m so glad you took the time to pop over to my blog and check things out. Now I get the pleasure of enjoying yours. Thank you for “liking” my post this morning. I really enjoy your writing style, as well as your content, and intend to come back later and check out more posts! Thanks for stopping by my blog. I like yours as well, and wish you the best from the mind of one faith-consumed writer to another. Hi Leroy, thanks for clicking the ‘Like’ button on my blog – I don’t even know where it is! But it’s so great when a new name pops up on my screen – I so appreciate it. I’m enjoying discovering your blog …. Thanks for stopping by my site and for the like! Your page has touched me heart so I will be visiting again. I love poetry. Thanks for stopping by my blog. I’ve enjoyed yours. Like the scripture!!! See ya again. Thanks for stopping by my blog. Your writing looks to be inspirational and interesting. I have subscribed to your blog and added a link to it on mine. Looking forward to future posts from you. Thanks for stopping by my blog. Your writing looks inspiring. I have subscribed to your blog. Keep in touch. Thanks for liking my blog post. I will definitely look at yours. Thanks for the encouragement and may God bless you always! You are a quiet visitor … I found was able to discover your blog – and am very delighted I have! Thank you for your visits!! Have a blessed weekend! Thank you for the Likes on my blog, LeRoy. Lead me right to your blog which I’ve enjoyed discovering. I’m also a wordsmith, we have that in common, although I don’t do much creative writing on this blog. April is almost over–it’s been fun posting a poem a day. I’ll miss the discovering every day. I think I’ll shift and give a few of my own poems a try. Thanks for liking my poem…I too believe it is never too late to pursue your dreams…keep writing my friend! Hello, I was going to say thank you for liking my post, that was really sweet of you and I’m glad someone enjoyed reading it because I’m always worried everyone is going to hate how I write! haha. I really like your “about the author” segment it’s great that you’re pursuing something like writing when other’s may think their time has past to do it. I hope you inspire someone to do the same that you have done. thanks for the like in my new post. It is a treat for the eyes to look at and read your blog. And, thanks for the like. Thanks for your feedback about my song, “In the Palm of God’s Hand.” I’ll look forward to visiting your blog and being in sync with a kindred spirit. Hello, LeRoy Dean. Thank you for the ‘like’ – the first I’ve received for my blog site since connecting it with Facebook. The site you created is so interesting, and so are you! Thank you for blessing us with your talents! Thanks for visiting my blog, and introducing me to yours…followed the link on your comment. I enjoyed several of your thoughtful and beautiful posts! Thanks for stopping by and for the ‘like’ on my new post, and for your poetry – very peaceul! Thanks for the like, LeRoy Dean. It is a pleasure to read from your desk! And stop back by This Perfect World anytime! I totally agree and I can see that you are doing precisely that, by what I have seen at your great site. So happy that you came to my blog – and liked it – it gave me the chance to check yours out and it’s great! Thanks for adding light to the world! What a wonderful blog you have here! Thank you for allowing us to glance into your life. Also, thank you for stopping my blog! I really enjoy your work. Thank you for liking my post so I could find yours!! I will be spending some time looking through your blog. Thank you so much for visiting my site and adding me to your Blogroll. I really do appreciate it and never take it lightly when people visit me. As I was reading your bio I thought about all of us who have traveled many roads some where not the correct path some was the correct path. But thanks be to God we are on the right path now. Thank you for “liking” the poem Mighty Oaks which led me here. This morning I read the first page of your “webbing” “blogging” blog. It was a pleasure. I find it is rewarding to discover a like minded traveler. I look forward to exploring the entire blog. Enjoying discovering your blog – what’s your twitter handle?